Holding steady at 67 cfs here. More fish have recently entered higher into the river and spread out. Targeting the deeper pools and undercut banks have given up some nice sized fish. You will see rising fish throughout the day in the eddies and slower moving water sections. The big fish have been tight to the bottom and on the move every few days. 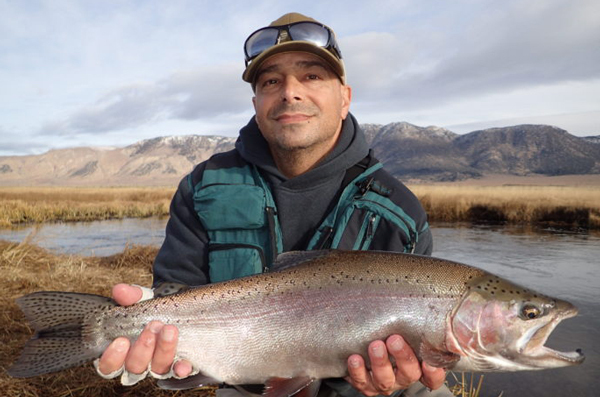 Heavy angling pressure over the holiday weekend had slowed the bite temporarily, but covering water was the key to getting some “Crowley Steelhead” to bite. Crystal Eggs have been accounting for most of our trophy catches out here, but switching up or adding a second fly to your rig is sometimes necessary to get these bigs to bite. No snow to report down here yet, so the roads are still accessible by car. 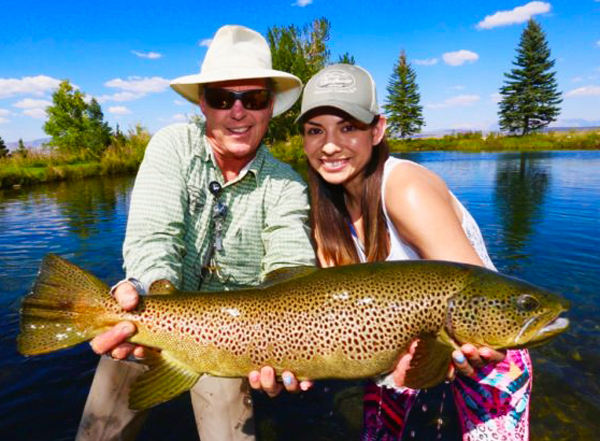 We have guides standing by to get you on these bigger rainbows! Here’s Larry with a beautiful male that fell victim to a Crystal Egg!